Embrace nature's solution to our emerging water shortage-collect rainwater! Our authentic oak barrel texture is molded into each barrel and will not fade, rot or risk insect infestation. 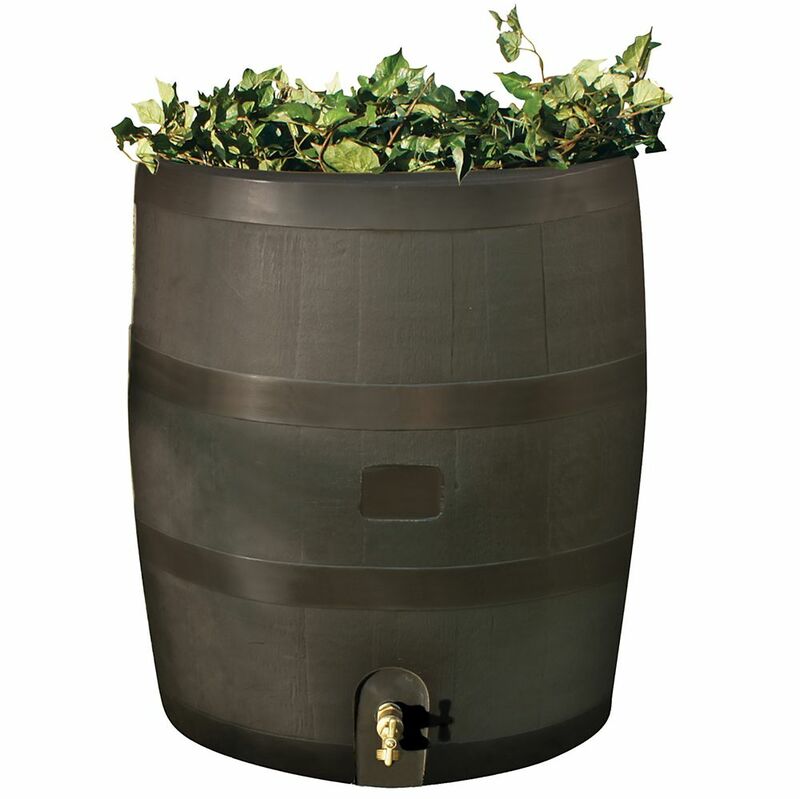 The RTS Home Accents rain barrel has many unique features including a built in planter, linkable to other rain barrels for increased capacity, screen to keep out debris and insects, a shut off valve and hose hook up with dual overflow. 35 gallon capacity, Mud. Rain Barrel Round with Planter Brown Embrace nature's solution to our emerging water shortage-collect rainwater! Our authentic oak barrel texture is molded into each barrel and will not fade, rot or risk insect infestation. The RTS Home Accents rain barrel has many unique features including a built in planter, linkable to other rain barrels for increased capacity, screen to keep out debris and insects, a shut off valve and hose hook up with dual overflow. 35 gallon capacity, Mud.